"Primordial… deep cold… way below the line." 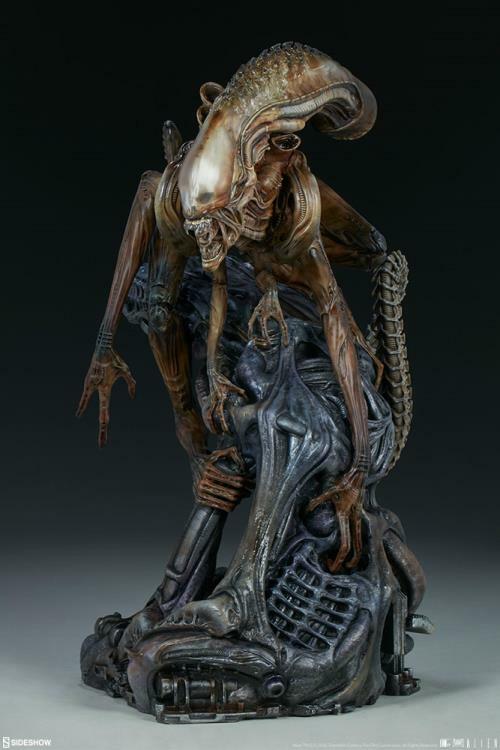 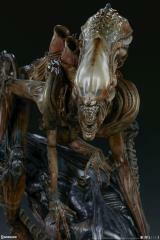 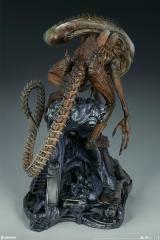 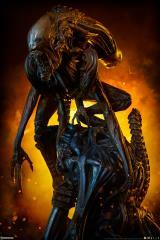 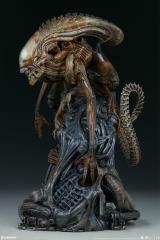 Sideshow and the artists at Legacy Effects present the Alien Warrior to the Mythos Maquette lineup—a new monstrous nightmare from the world of Aliens. 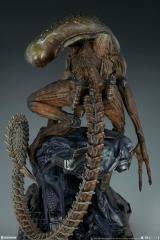 Sideshow’s Mythos series captures the limitless possibility of fan-favorite franchises by emphasizing core concepts and introducing unique new ideas to popular fictional universes. 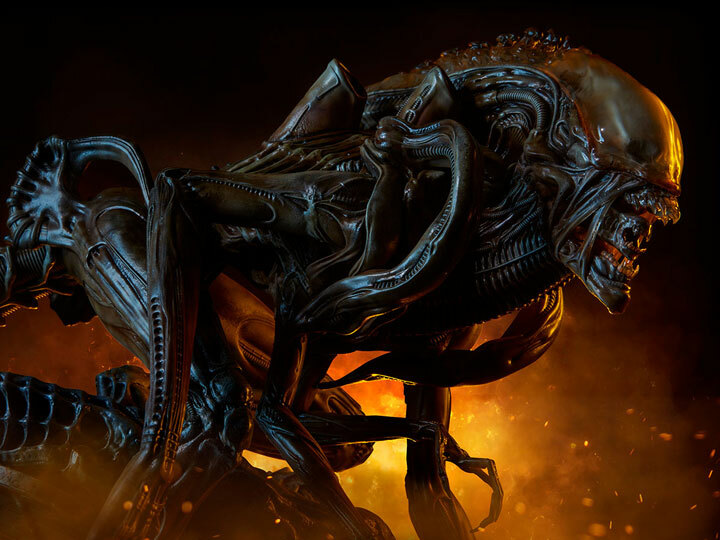 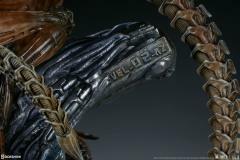 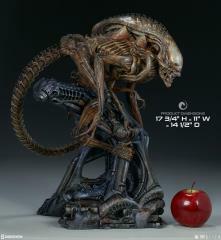 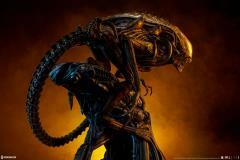 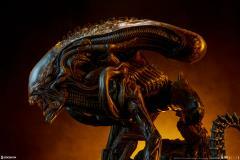 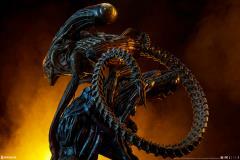 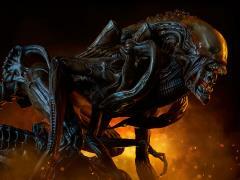 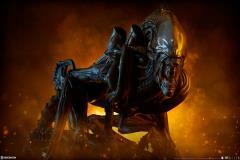 This Warrior emerges as a new evolution of Xenomorph terror, offering a creepy new perspective on the classic bio-mechanical creature. Crouched atop an infested ship base, the Alien Warrior measures 17.75 inches tall, reimagining the frightening presence of this relentless hunter like never before. 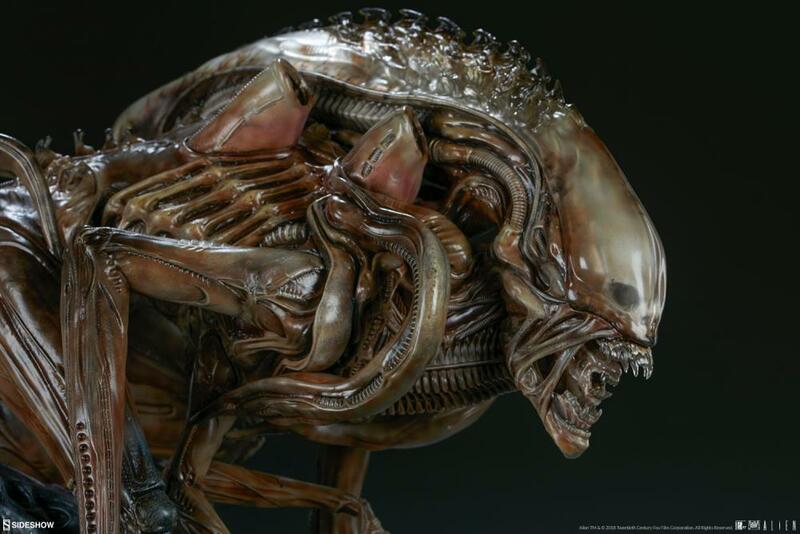 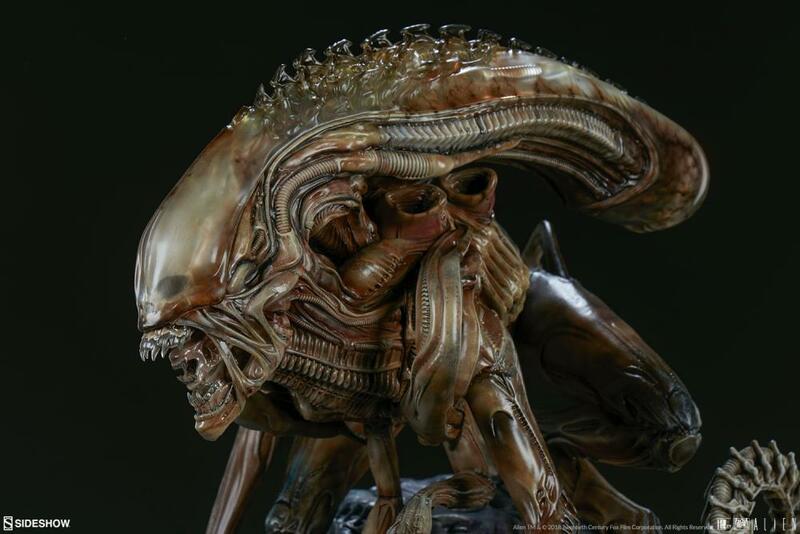 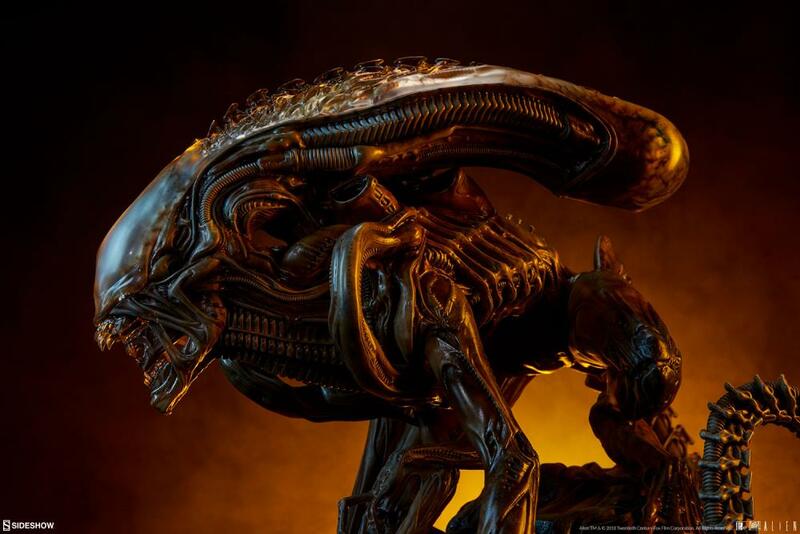 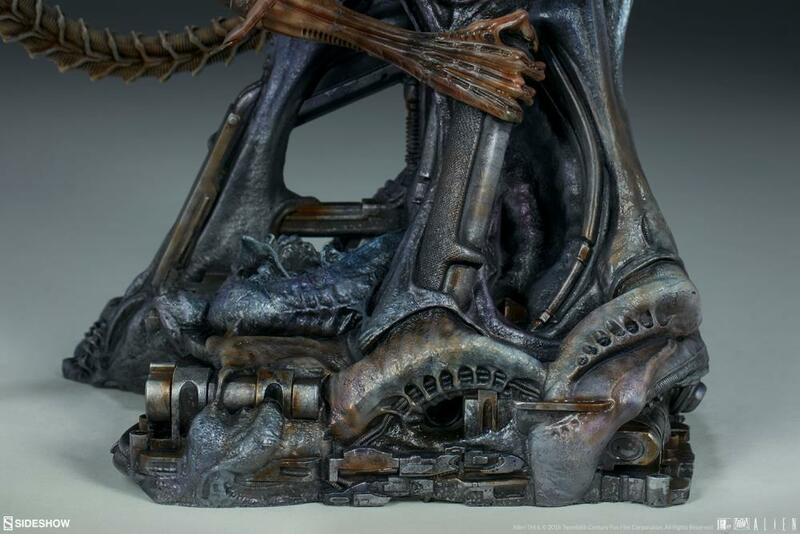 The sinister inner skull of the Xenomorph is visible through the creature's ridged head dome, while its hissing mouth reveals the monster’s iconic inner jaws; its distinct coloration gives the Alien Warrior an insectoid quality. 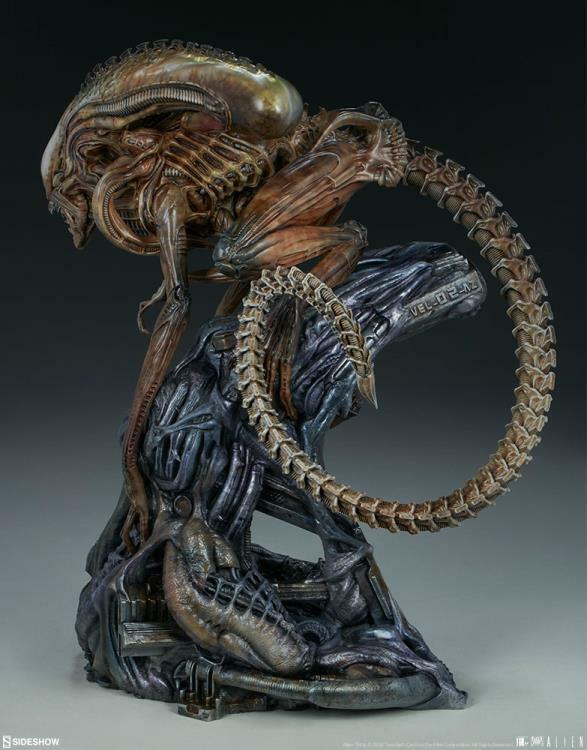 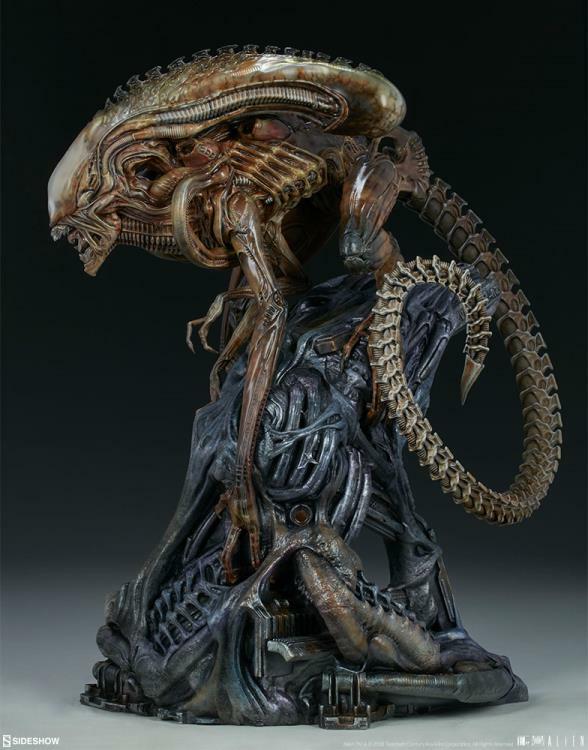 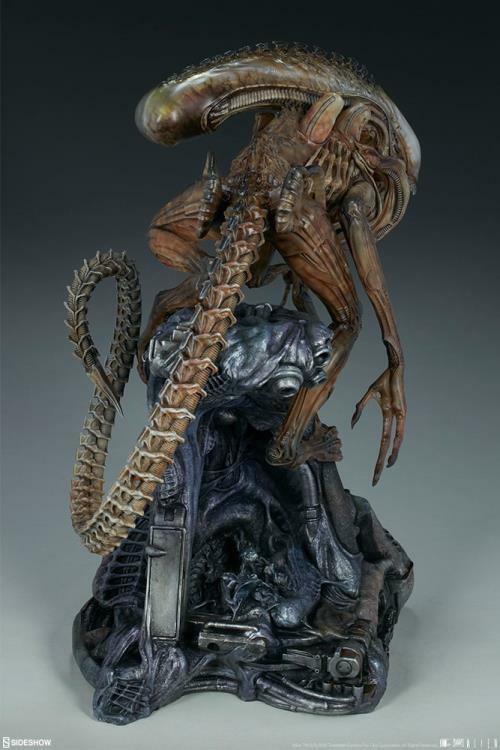 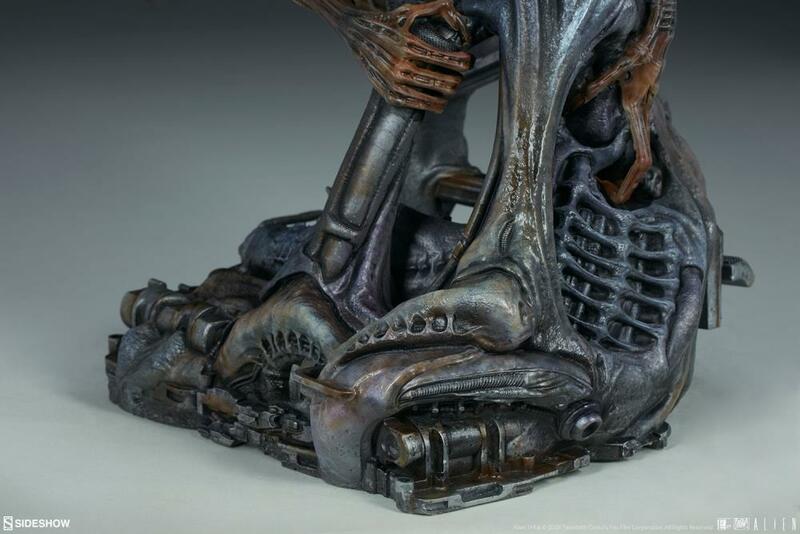 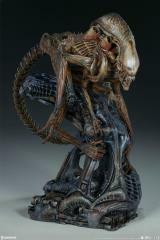 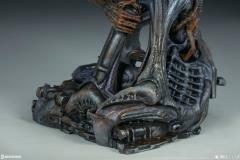 This collectible maquette emphasizes the Xenomorph’s deadly agility with two pairs of clawed arms and a pair of elongated legs that clutch the ship’s innards while the creature’s segmented tail curls maliciously down the base.